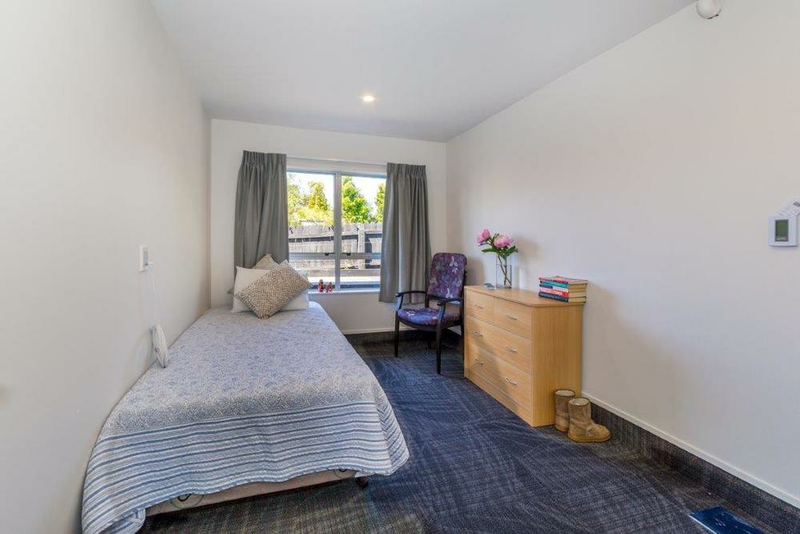 As part of Heritage HealthCare services; Capella House is a new privately owned 29 bed dementia facility, rest home and hospital located in Block House Bay. We are committed to providing a home-like environment that delivers quality care, dignity and respect for the people living here. Our building is new, modern with climate control throughout, heated bathroom floors and a beautiful garden to match. We provide 24 hour nursing care and will attend to your needs or the needs of a loved one. We have dementia services available for up to 20 residents. There is at least one registered nurse on at all times. Our building has been designed to allow residents to wander inside and outside the facility with a large outdoor area and separate lounge areas. We have two seperate wings, one dedicated to male only dementia care. We hold two respite beds at Capella House, we can offer short term care for a range of reasons. In a separate wing, Capella House caters to people assessed as needing either Rest Home or Hospital level of Care. We have the latest equipment available and our nursing staff are highly skilled in several areas of hospital care including advanced dementia care, palliative care, COPD and older people’s health issues. Our staff have extensive training in all areas of dementia care, aged care and hospital care. We are a team of mostly women caregivers, cooks and registered nurses. We are lucky in that some of us have worked together in associated homes for a number of years and look forward to building another strong bond within this home. There is always a registered nurse on duty with support staff. Our Dr is local and makes frequent visits as well as being on call. Our client to staff ratio exceeds contractual requirements to ensure we can tailor to each of our residents needs. All of our staff take part in a monthly training regime focusing on all aspects of well being, ensuring our residents are cared for in the best possible way.